We are excited to be participating in our first ever Backyard Blog Hop. It was perfect timing as yesterday we had a family birthday party to celebrate Adam’s second birthday! Adam’s fabulous t-shirt was made by my lovely sister-in-law Becky and can be purchased at Betsy Boo Broidery – check out her other designs. Last week I had been chosen to be a #MorrisonsMum and given £80 to spend in Morrisons over the bank holiday weekend. We decided to use the money to have a themed party. Adam loves tractors and cows so we decided on a farmyard theme. I have to point out this is out of character for us and we would not normally get this involved in a birthday party let alone have a theme. This is the first time we have attempted anything like this! There are too many parts to the day to include in one post so I have decided to cover them over several posts. This post is about the farm yard outdoor party games. My family doesn’t usually play party games. Sometimes there is a game of football and that is about it. However, with a birthday theme we opted for farm yard animal games. The cow skittles were easy to make. I recycled two-litre bottles and wrapped them with white paper and stuck on black cow spots. The cow face was made from black card and white stickers and was attached to the bottles with double sided sellotape. We set the cow skittles up outside. At first the wind blew over the skittles so we added a little water to stabilise the bottles more. My seven year old nephew Stevie was first up. Our little ball wasn’t hard enough to knock over the skittles so we emptied some of the water and tried using a football instead. Adam loved the game and gave it his usual clap. Although Adam enjoyed knocking down the skittles with the ball his preferred method was with his hands. The day before the party I realised our Ikea stool could easily be turned into a cow. I attached cow print paper to its sides and cut out and stuck on a cow face to the front. For the cows udders I poured diluted soya milk (Adam is milk intolerant) into disposable gloves, tied the top of the glove like a balloon and used a paper clip to prick each finger. The hardest part was attaching the udder to the cow. Sellotape and duck tape couldn’t cope with the weight of the udder but Nana came up with using string to keep it in place. Beth and Adam couldn’t work out what Nana was up to – although Adam did appear to have his soya cup ready in anticipation! … although Uncle Ben had great fun in getting Stevie covered in soya. We transferred the cow to the chair for Stevie to make it easier. The gloves were surprisingly effective. I don’t think any of us will go into the milking business as most of the soya milk went on the floor. We had one udder left. I should have known not to leave my brother unsupervised with the udder. He attached the glove to his body with the string and became a milking cow himself. I also should have known that my brother wouldn’t leave it there either! Udders make surprisingly good water guns – where Uncle Ben managed to soak all of us in soya milk! For the party I had converted a typical piñata into a cow piñata. The problem was that Adam has become slightly attached to the cow piñata and keeps cuddling it. We couldn’t decide if it was an ethical game to play or not ! … and of course a family bundle! 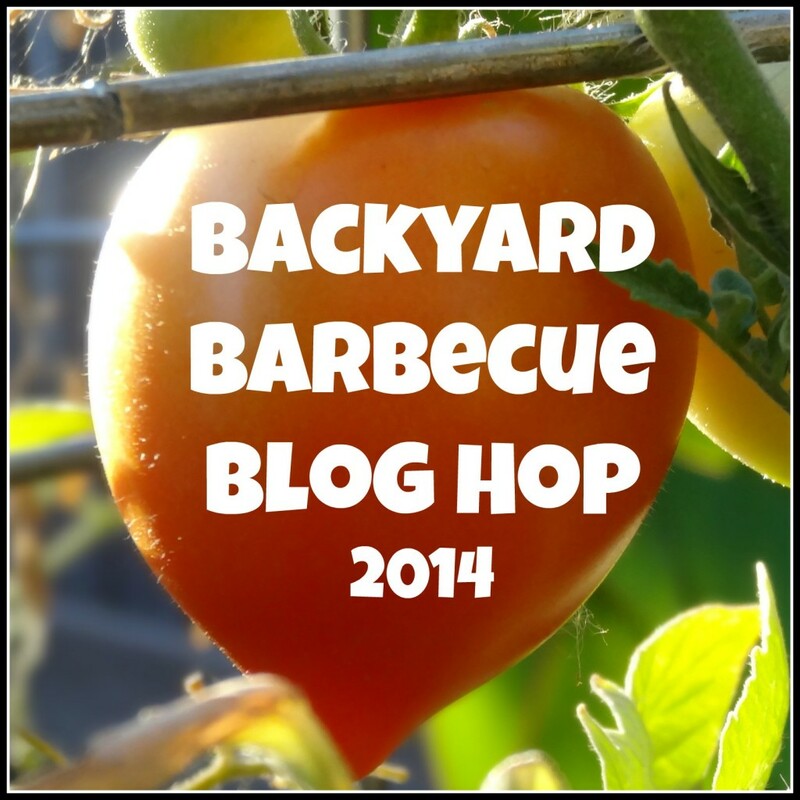 Welcome to our Second Annual Backyard Barbecue Blog Hop! I am so excited to be joining with my blogger friends to create a collection of fabulous ideas for family fun this summer. Be sure to visit all of our co-hosts to see their amazing posts and be sure to share yours at the end! « Brilliance in Blogging Awards. We’ve been shortlisted! Such a fun party. I enjoyed reading both the ideas for the farmyard party and the funny moments your family had. Happy Birthday to Adam! Loads of great, fun ideas & thanks for linking up to the Outdoor Play Party. Some brilliant ideas! Themed parties are great fun, it’s amazing where your imagination will take you. Seems like you all had a lovely time. Thank you everyone for your comments. Adam had a wonderful birthday and certainly one for us to remember! These are such cute ideas! I especially love milking the cow – we have that same stool, so you have given me ideas! Thanks for co-hosting the Backyard Barbecue Blog Hop! Don’t you just love Ikea! I can imagine this would be brilliant with lots of cows and as a competition – who can milk the cow the quickest. What a super fun idea! love it all. Thanks for linking to the Outdoor Play Party.